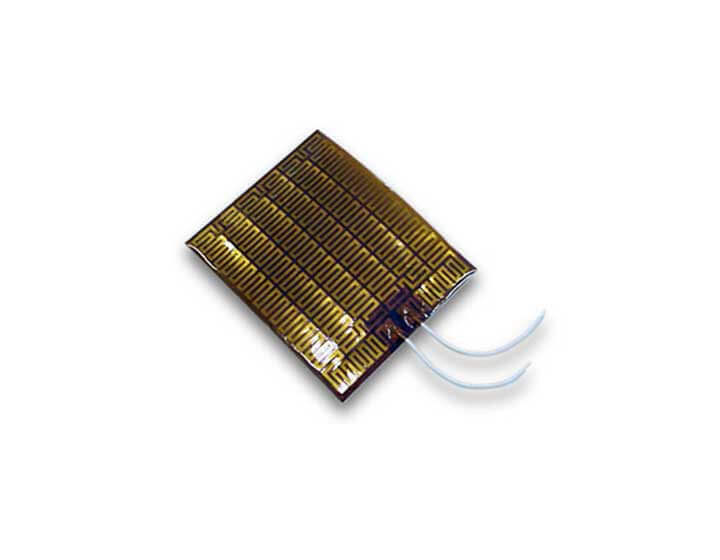 Hi-Heat Industries custom designs etched foil Kapton® or polyimide heaters in various sizes, shapes, and wattages. 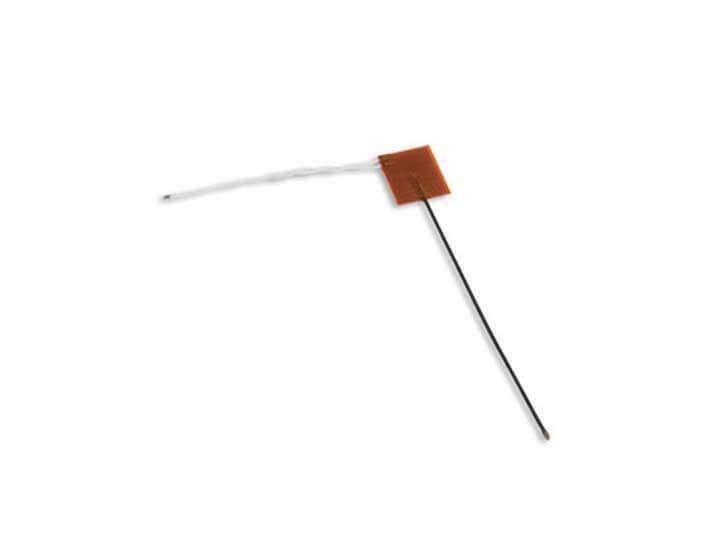 Kapton heaters have a thin, lightweight design (0.005″ thick), which allows close thermal contact for maximum heating efficiency and permits close adaptation to the contours of the part. These low thermal mass heaters have fast warm-ups. 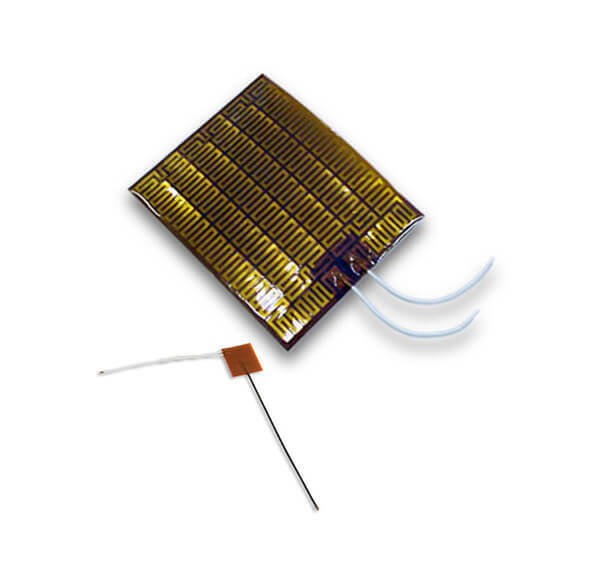 Polyimide’s properties and the moisture resistant construction make these heating elements the preferable product in high humidity areas, wash down zones and in applications requiring repeated sterilizations. Polyimide has more than 40 years of proven performance as the flexible material of choice in applications involving high temperatures ( 200°C, 392°F), and very low temperatures (-195°C, -319°F). 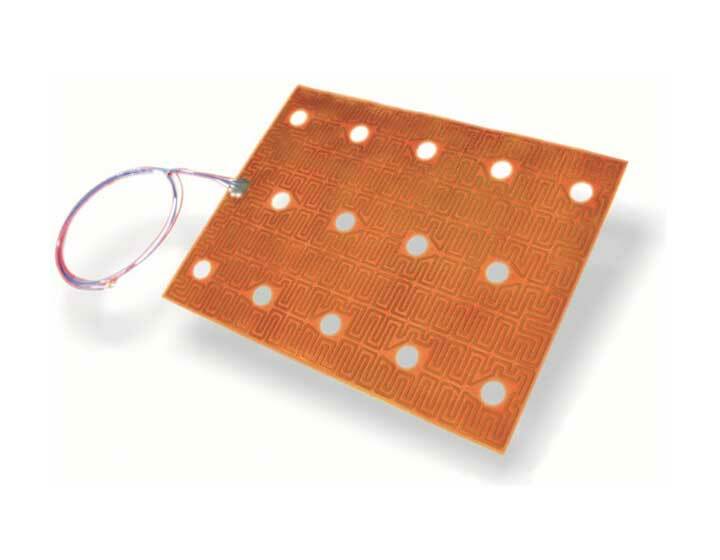 Kapton is a lightweight flexible film that maintains outstanding mechanical, chemical and electrical properties over extreme temperature ranges.